India captain Virat Kohli on Monday hoped all-rounder Hardik Pandya will come out a “better cricketer” and scale new heights after making a promising return from the suspension that followed his sexist remarks on a TV show. 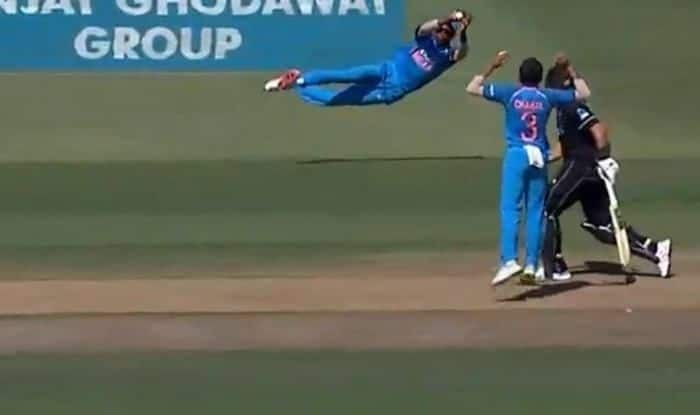 Pandya, who is still facing an inquiry for his loose talk on women, did not get to bat in the third ODI against New Zealand atBay Oval, Mount Maunganui on Monday but the 25-year-old bowled and fielded with purpose, taking two crucial wickets and a brilliant catch to send back home skipper Kane Williamson. Kohli, after having condemned the comments made by Pandya and K L Rahul on the chat show, on Monday reserved words of encouragement for the all-rounder. “In life, there are only two ways to deal with a situation like that. Either you hit rock bottom or you can learn from the situation and see it as a motivation to make things right,” said Kohli after leading India to a series-sealing seven-wicket win over the Black Caps. The Indian skipper said Pandya showed the required intensity in his comeback game and is already on the road to redemption. “You don’t need do anything extra (in a situation like Pandya’s). Whoever comes out of it positive, his career can scale new heights, like we have seen with many cricketers in the past. “I hope he goes on that right path and emerges as a better cricketer and I think he can do that,”said Kohli. Pandya was sent back home from Australia earlier this month after BCCI suspended him and Rahul pending an inquiry. It seemed that he would also miss the entire tour of New Zealand but the Committee of Administrators (CoA) revoked their interim suspension last week and now their fate will be decided by an Ombudsman who is yet to be appointed by the Supreme Court. “It is very very good to have him. He provides balance to the team. The way he bowled today showed that he went back and was practising his skills. You can tell with his intensity, he picked up two crucial wickets as well. “He is someone who will give you those important contributions in all three departments. The team also looks much more balanced with him around. He is in a good head space and I hope he can continue with that,” added Kohli.